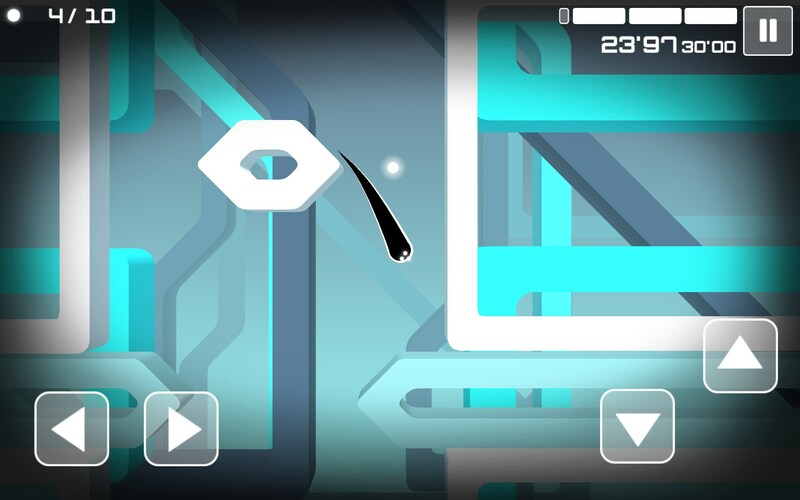 Spectrum – Games for Android 2018. 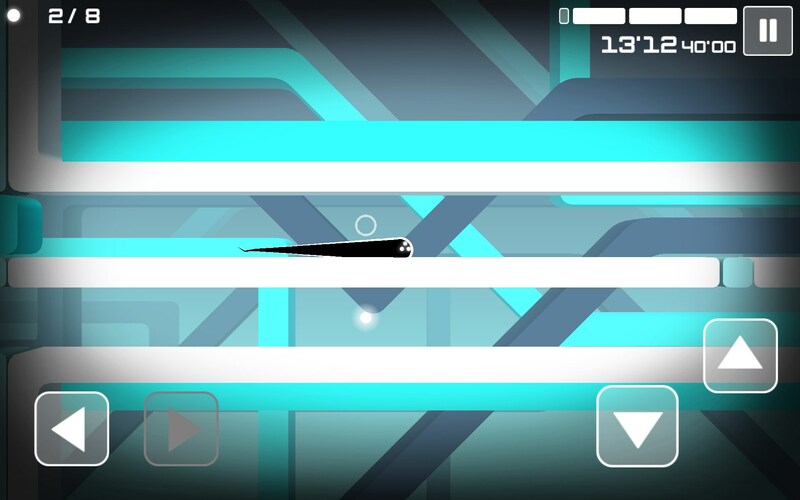 Spectrum – A futuristic maze with fluid movement and ethereal music. 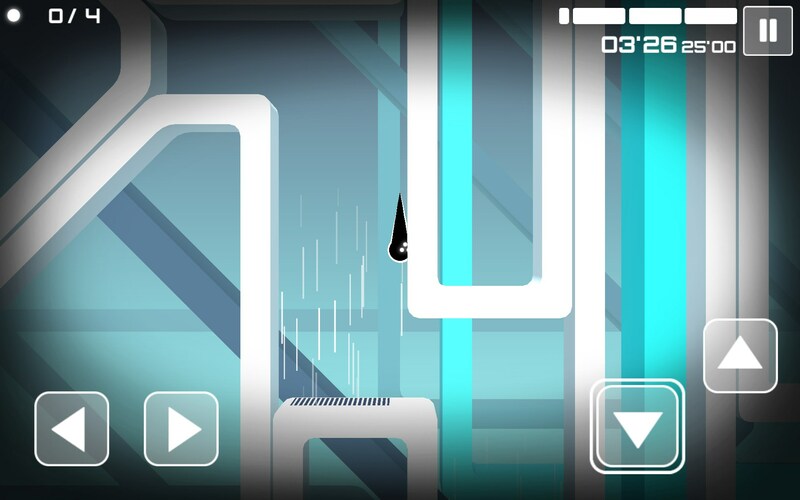 Spectrum for Android is a futuristic sorta puzzle game with a fluid, snakelike character that you gotta zigzag through a maze that travels in all directions. This one feels very ethereal and meditative, while remaining thoroughly challenging and fun. 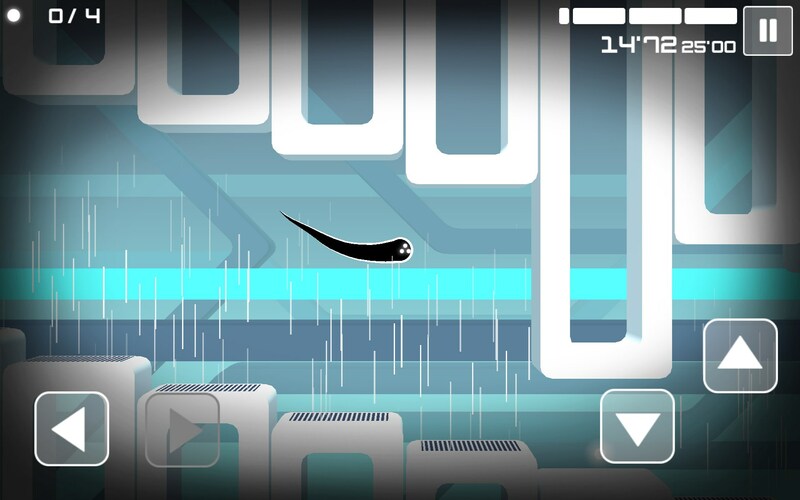 Spectrum presents in landscape to display a maze game unlike any other. There’s what looks to be a black bowling ball resting on a ledge, with 3 white holes; only upon closer inspection did I realize those 3 holes were actually eyes. 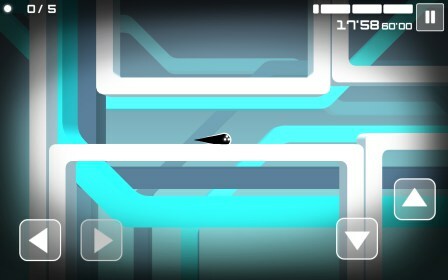 The environment almost looks like a futuristic duct system to some sort of evil lab, and this little black ball thingy want’s to escape; no doubt to avoid any further probing or experimentation. So you head off to explore what’s what, and that’s when the little black ball actually turns into a long fluid sort of comet that flows gracefully while swimming through the air with the greatest of ease. 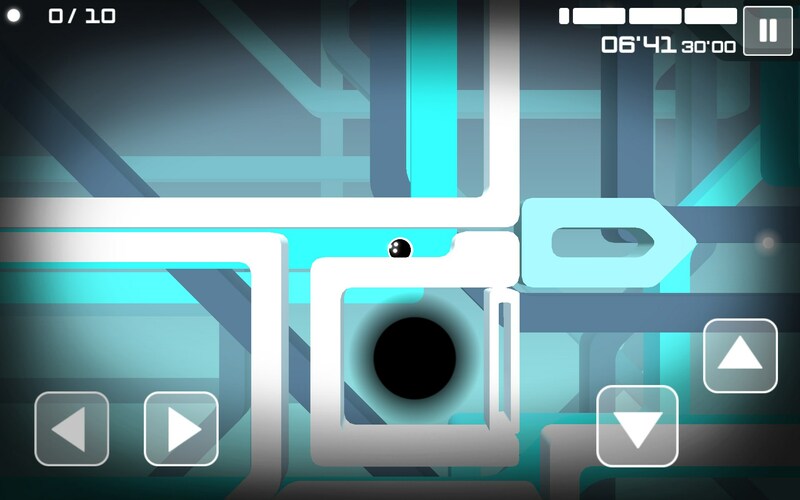 All you gotta do, is avoid the blue pieces of this intricate maze, which make you go ouch and will kill you if you bump into them too often. There’s also white blobs of energy to gather along the way, and a lone black dot that opens a portal, thus escaping to the next level. Spectrum is good fun for puzzle fans of all ages and there’s lots of levels to work through. This is a good one.